I can’t believe December is already here. That means Christmas is right around the corner and we are already thinking about what to bring for all the parties. After a big Thanksgiving we usually do super chill and relaxed for Christmas. Which means lots of appetizers and these Roasted Pepper Cheese Bites are perfect for that. 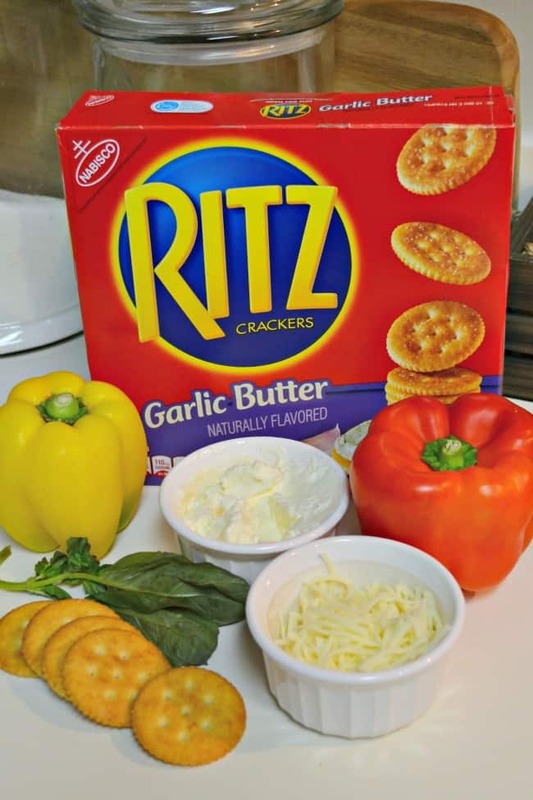 What you Need for Roasted Pepper Cheese Bites! 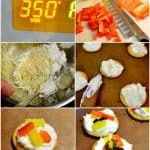 Mix cream cheese and mozzarella until blended; spread onto crackers. Top with peppers. 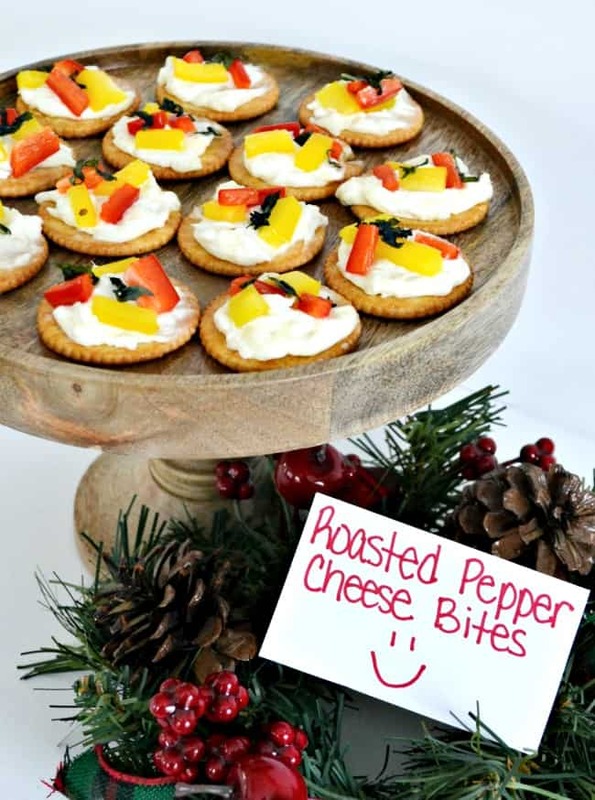 Tips for hosting a frugal and classy holiday party! Adding a holiday party on top of Christmas shopping can really drain the budget, fast. However, that doesn’t mean you can’t throw a fantastic party and make it great. Check out these tips to stay frugal and classy at the same time. Go simple! You don’t need fancy caviar and champagne to impress your family and friends. Dishes like these cheese bites are perfect and budget friendly too. Appetizers Only! Speaking of going simple…You already did a big meal at Thanksgiving why do the same for Christmas? Go appetizer only and ask your friends and family to bring a dish too. Decorate with what you have! No need to buy fancy servers and extra decorations to jazz up the place. Light some candles! One of the easiest ways to bring a little ambiance to a space is with candles. Plus they smell great too. Do you have any frugal holiday tips of your own? 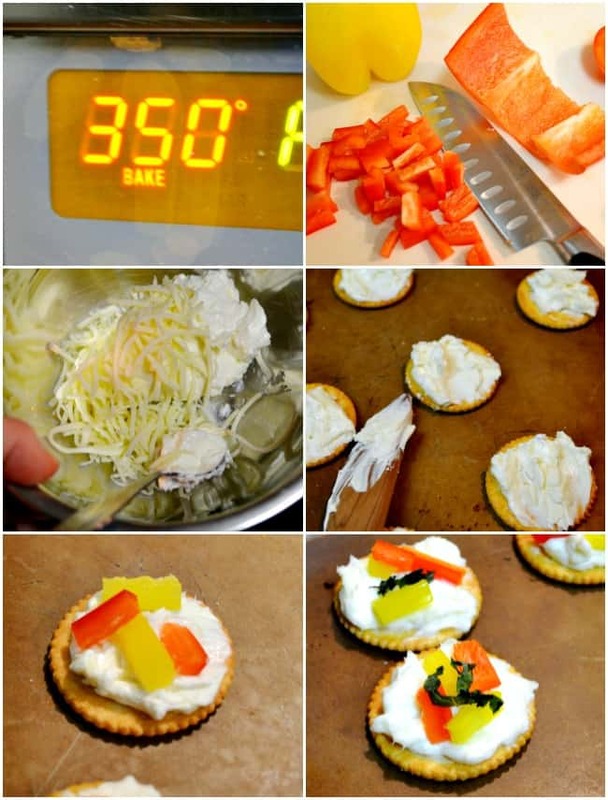 This recipe is easy to double which is great because they are so tasty. 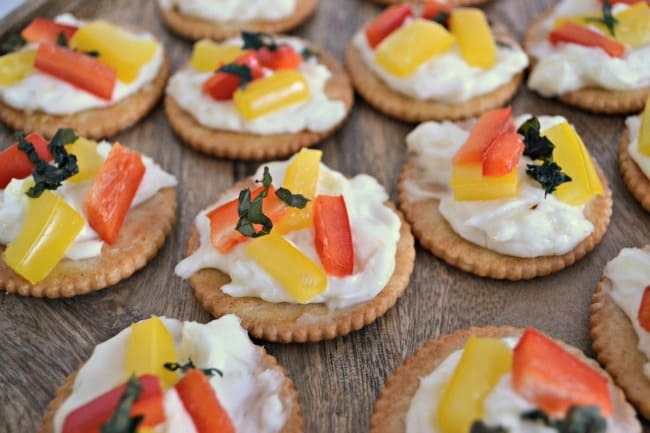 The smell of the roasted peppers and basil is oh so yum but when you pop them in your mouth the garlic butter crackers add that perfect savory bite. Good thing you can save on Nabisco products because you will want to stock up. 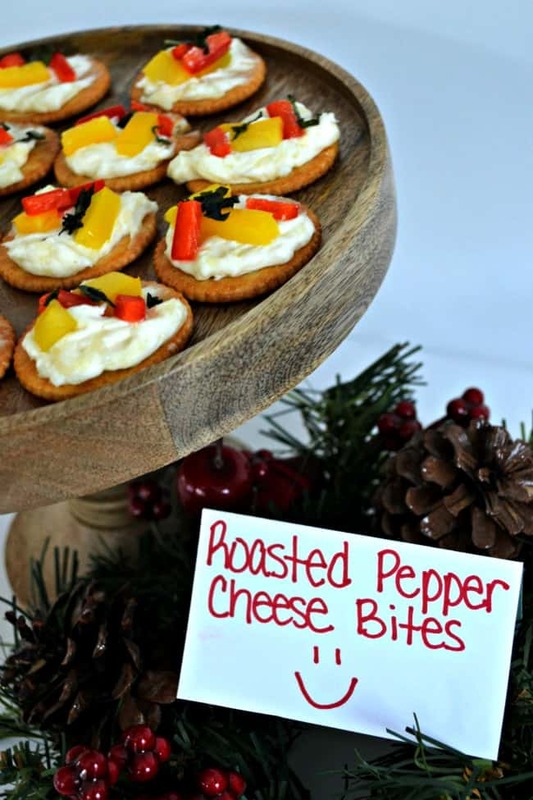 Visit NABISCO Party Planner and find more themed holiday recipes from NABISCO as well as coupons savings at Publix. Get ready for the holidays with Famous Footwear!